"Real Estate Investing Buying Properties"
We’ve had a few questions about leveraging your RRSP to invest into Real Estate Investing buying recently, so let’s dive in. As you may already know, one way to take money from your RRSP and invest it into real estate is with “arms length” property. This means that the property you invest into cannot be your own, a family member’s or even a close friend’s. It has to be used towards a property that some third party owns. The typical scenario involves a person looking to borrow money. You lend them the cash from your RRSP and secure your loan as a second mortgage on a piece of property that they own. Ideally, it’s a very sellable property with a lot of equity in it. This way, if they don’t pay you back, you can foreclose on the property knowing that there’s enough equity to pay off the first mortgage and recoup your investment loan. During the term of the loan, you receive interest-only payments, usually 12 post dated cheques, and then your loan is paid back at the end of the term or you agree to renew it. The interest you’ll be able to earn will be anywhere from 8% to as high as 16% depending on the size of the collateral and the term. These are usually arranged through Mortgage Brokers who will charge a standard fee to process the arrangement. Your broker will instruct your lawyer to contact your financial institution and register a second mortgage on Title. And then you begin receiving monthly payments. The cool part about this is that the last time we checked you can receive these monthly payments either inside or outside your RRSP - making them tax-free if you wish to. We first learned about this type of RRSP investing from several real estate investing buying lawyers and mortgage brokers who were using it as their primary investment vehicle. A couple of them have even foreclosed on properties to recoup their loan. Basically, when you invest like this you are acting like a bank—lending money and securing it against something. We know of three, TD Bank, Olympia Trust and Maple Trust (recently acquired by Bank of Nova Scotia) that had Self Directed RRSP accounts that allowed this. If you call your bank to inquire, you’ll have to get someone who knows their stuff because most will just tell you in can’t be done. RRSP Meltdowns are a term used to describe the process of withdrawing money from your RRSP, or ‘de-registering’ it. This process usually involves paying taxes on the money you’ve with-drawn but some crafty accountants have devised strategies to allow you to withdraw money from your RRSP tax free while at the same time you’re growing your investment portfolio. 1. You set up an investment account at your Financial Institution and obtain an investment loan to fund the account. 2. The total annual interest payment on your in-vestment loan is the amount that you withdraw from your RRSP. 3. Because the interest on the loan is tax deductible it cancels out the equivalent RRSP withdrawal taxation. 4. The Result? 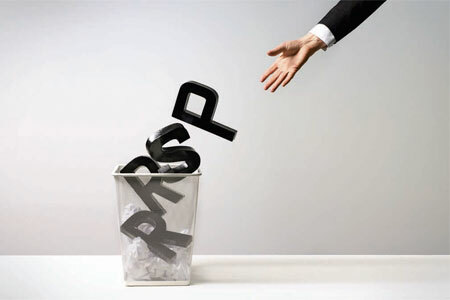 You owe zero tax and have successfully removed money from your RRSP. 5. And, ideally also have income from the investment you chose to re-invest! This is the ‘classic’ RRSP Meltdown Strategy and it all hinges on your ability to get an investment loan of course. If you own a real estate investment right now, you likely have some interest payments on your investment this year that can be used as a tax deduction. If you don’t have a need or use for those deductions you can of course leverage them as described above—to offset withdrawals from your RRSP. Calculate how much interest you’re paying this year on your properties and withdrawal that amount from your RRSP. As deductions against the income you’re earning from your current employment. As tax deductions against withdrawals from your RRSP. As deductions against the income your properties are generating. Don’t let the tax deductions on your investment properties go to waste. They are one of the most overlooked advantages of owning real estate. One of the best ways to accelerate your wealth creation is to take advantage of all the opportunities in front of you. For the record, neither of us are big fans of RRSPs, but this is NOT an attempt to convince you to withdraw yours. And of course, before you consider any of this, consult with your professional accountant to ensure this can work for your specific situation. We’ve found it useful to meet with our Accountant before the yearend for tax planning. This gives you some time to move money around before the end of the calendar year if there are advantages to gain from doing so. Return from Real Estate Investing Buying Properties to The Real Estate Investing Guide by clicking here.